Based on very poor veterinary and human evidence, fluid bags and IV sets should be changed every 96 hours whether on one or multiple patients. Additionally, supportive evidence suggests that creating a routine of wiping ports with alcohol prior to injection or withdrawal may significantly decrease the likelihood of fluid contamination. This certainly seems to be an area that needs more research. Carr, Anthony P. (2015) New Studies in Veterinary Internal Medicine: Bacterial Infections. DVM 360, 46 (4), pp.M1–M3. Available at: http://veterinarynews.dvm360.com/new-studies-veterinary-internal-medicine-bacterial-infections?pageID=2 [Accessed February 4, 2016]. Guillaumin, J. et al. (2013) Influence of Hang Time on Bacterial Colonization of Intravenous Bags in a Veterinary Emergency and Critical Care Setting (abst). Journal of Veterinary Emergency and Critical Care, 23, p.S6. Matthews, K.A. and Taylor, D.K. 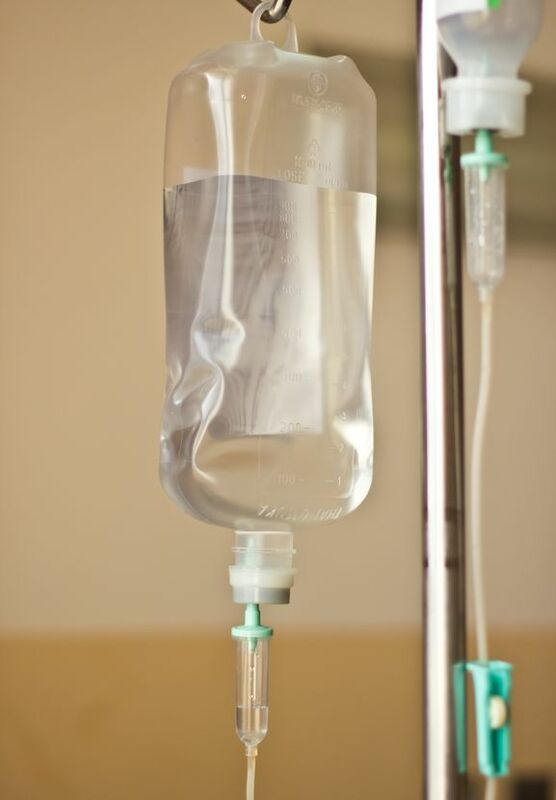 (2011) Assessment of Sterility in Fluid Bags Maintained for Chronic Use. Journal of the American Association for Laboratory Animal Science, 50 (5), pp.708–712. Sabino, C. V. and Weese, J.S. (2006) Contamination of Multiple-Dose Vials in a Veterinary Hospital. The Canadian Veterinary Journal, 47 (8), p.779. Ullman, A.J. et al. (2013) Optimal Timing for Intravascular Administration Set Replacement. The Cochrane database of systematic reviews, 9 (9), p.CD003588. Available at: http://www.ncbi.nlm.nih.gov/pubmed/24037784 [Accessed October 1, 2016].